A complimentary city tour full of Dubai’s enchanting nuances is offered on the afternoons of Saturday 10 November and Wednesday 14 November. The tour is open to all delegates and accompanying guests free of charge. Pre-registration for the tour is required. Dubai is one of the world’s most dynamic cities, home to architectural icons and a skyline to rival Manhattan, yet its roots as a sleepy fishing village, port and trading hub are not only evident, but remain one of Dubai’s highlights. Our city exploration offers guests a fascinating insight into Dubai’s history and its development into a modern metropolis. The tour begins with a drive along Dubai’s Beach Road where guests can catch a glimpse of the magnificent Jumeirah Mosque and the glamorous beachside royal palaces, before heading to the city’s historical heartland, Al Fahidi Neighbourhood. It ranks as Dubai’s oldest district and is home to many buildings and experiences that tell the story of this captivating city. - The old wind tower and red sand houses built by wealthy merchants during the early 20th Century. - The 150-year-old Fahidi Fort, renovated to house the Dubai Museum, which documents the city’s pearl diving and trading history. - An Abra (water taxi) ride across Dubai Creek. 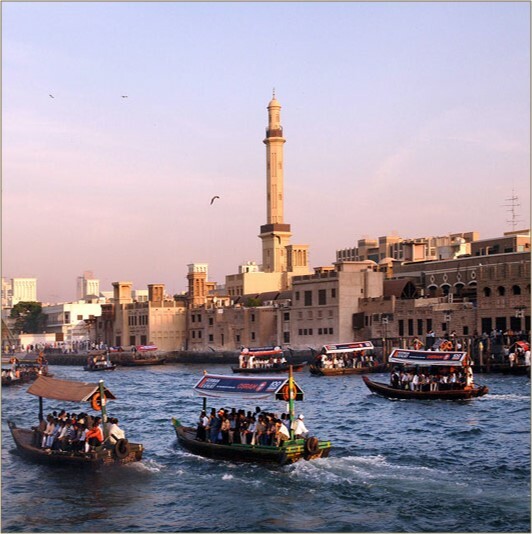 The creek remains the lifeblood of Dubai - a bustling waterway that merges the past and present. On one side modern skyscrapers tell the story of ‘New Dubai’ while on the other, souks (marketplaces) and dhows (wooden sailing boats) laden with cargo, keep tradition alive. - A stroll along the vibrant creek. 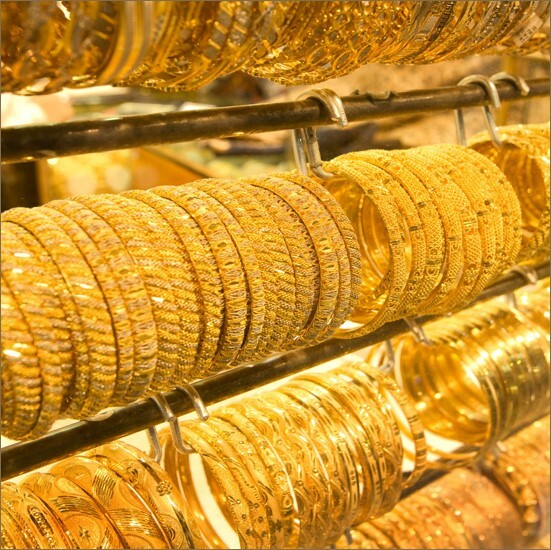 - The gold souk – be dazzled by endless shop windows filled with gold, diamonds and gemstones and barter for fine jewelry at knock-down prices. - Take in the heady fragrances of the aromatic spice souk. Bargaining is expected and most shops offer discounts. 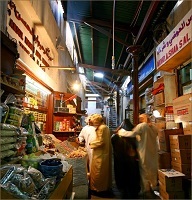 Merchants love bartering banter – it’s all part of Dubai’s souk experience.